We are proud to say that we have been successfully accredited by Norfolk Food & Drink and can display our new ‘Proudly Norfolk’ badge! 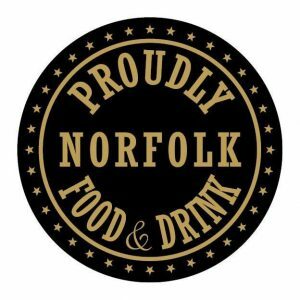 The “Proudly Norfolk Food & Drink” labelling scheme has been set up as an initiative by Norfolk Food & Drink for Norfolk producers in the food and drink industry to acknowledge both their passion and the integrity of the product they are producing. The idea is to give credence to their product when it is displayed on the shop shelves so that they stand out from the crowd of other products which have been mass produced. For the consumer it will be a sign that you can trust the product you are buying as it has been lovingly made by hand in Norfolk. This has always been our creed so it is great to reinforce that with something that will be widely recognised in and outside the county.